What’s Really Going on with Obamacare? I’ve had a couple requests to do an examination of the Obamacare rollout. I haven’t commented to this point primarily because the returns are still early. There’s a lot of additional data that will come out in the coming months and a lot of unknowns–what will healthcare.gov look like a month from now, let alone by the end of March, the current sign-up deadline? Nevertheless, there are some useful things that can be said not merely about the rollout, but about the way in which the rollout is being covered in the popular press. “The Website is the Tip of the Iceberg”–the technical problems with the website are a harbinger of the administration’s general incompetence and consequently of future problems with the implementation of the law as yet unknown. “Obama is a Liar”–Obama famously said, “If you like your plan, you can keep your plan”, but for some number of people, this isn’t true. If Obama could mislead us about this aspect of the law, how much of the rest of the law might he have lied about? Both of these arguments rely on the unstated premise that the content of the Affordable Care Act and the consequences of its implementation are presently unknowable. They rely on this lack of information to propagate fear. Not only do many Americans not know what the law does, they don’t have a template for understanding how the state might implement this law. When the president is revealed to have said something that is not true, it causes these people to question all the information they’ve been given and become deeply suspicious. To cover those made worst off by the current system, require insurance companies to provide healthcare regardless of pre-existing conditions. To ensure insurance companies can do #1 and still make money, mandate that all individuals buy health insurance. To ensure that all individuals can afford to do #2, subsidize the cost for the poor. We also know that the citizens of Massachusetts are generally quite happy with their healthcare system–84% of them express satisfaction. 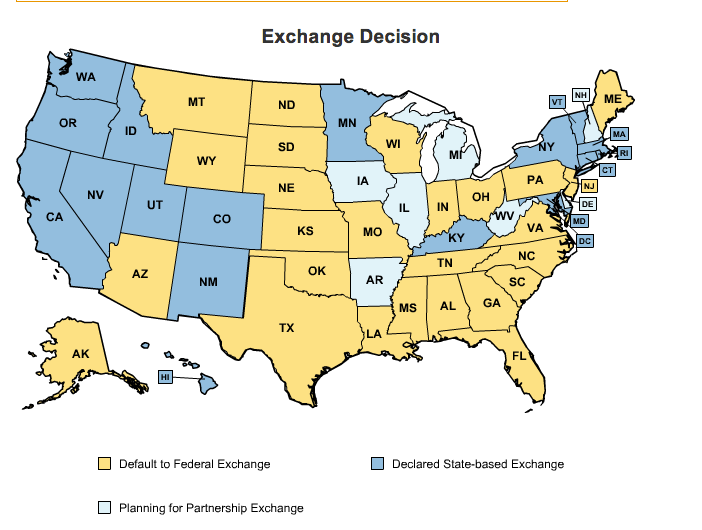 Many of these state exchanges have websites that are working much better than the federal website. Their enrollment figures are likely instructive of what the federal enrollment figures will look like if and when the administration gets the federal website working. So far, the estimate is that the number of people enrolled through the state exchanges doubled between November 2 and November 21. These estimates exclude data from the states that have chosen to rely on the federal exchange. This means that already, 45.7% of those eligible to sign up through state exchanges have done so. Around 26% of the 2014 target signed up for the state exchanges in a mere 3 weeks. With more than 4 months still to go until the March 31 deadline, it’s reasonable to expect that if the feds get the website together soon, the target remains realistic. The administration has done a poor job keeping the public informed. This has opened the door for fear-mongers on the right, who have taken advantage of public ignorance to spread disinformation, hoping to sully not merely the public’s view of the new law, but the public’s view of the administration. However, the efficacy of these attacks will fade if and when the administration carries through with the new law and gets the federal exchange to operate with similar fluidity to the state exchanges. In this respect, the administration still controls its own destiny. It could allow insurance companies to dramatically raise rates on plans that offered very poor, incomplete coverage. It could mandate that insurance companies offer a minimum quality of plan, so that the 5% would at least see improvements in coverage in exchange for paying more. It’s for this reason that insurance companies are so resistant to the suggestion that the 5% be allowed to keep their plans as they are for another year–this would eat into their profits considerably. Obamacare is designed to serve as a compromise proposal that protects the interests of insurers, providers, and patients. In order for that compromise to hold, all three legs of the stool must be protected in earnest. The administration should have explained why the 5% were going to have to change plans in these terms. That said, even if it had offered such an explanation, how well understood would it have been? This kind of complex point doesn’t fit into a TV news soundbite, and we would expect opponents of the bill to misrepresent this argument or to gloss over the importance of the compromise and accuse the administration of siding with insurers over patients. Obama’s communication problem cuts both ways–not only does he fail to say what needs to be said, but the public fails to listen to what needs to be heard.